"This is how you change when you go to the orchard where the heart opens"
I use creative, compassionate guidance methods to enable you to enter your own inner landscape. As a guide, my intention is to help you invite and foster your own healing experiences. Your deep wisdom provides the information you need to release old patterns and activate your healthy, thriving self. Change comes about as old beliefs give way, reactive patterns are dissolved, and the True Self is free to emerge, bringing its presence, power and authenticity into your life. I have an M.A. in Clinical Psychology from JFK University, certification as a Clinical Hypnotherapist, and I was on the training staff for five years at HCH, a Center for Psychospiritual Training in Lafayette, California. 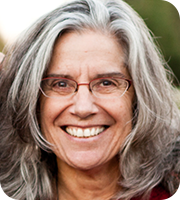 I currently work private practice with individuals, couples and groups in Berkeley. I come from a background in the arts: directing, teaching, performing and writing for Bay Area Theater for over twenty years. From this fertile ground of creativity and inspiration, I became fascinated with the human psyche. Combining my Buddhist meditation practice and shamanic work with my education and training in Clinical Psychology and subsequently hypnotherapy, I began to devise an approach to healing which I call Core Integration.